#Bridgeport CT–Mayor Finch announced today that he is dropping out of the race for the mayor for the city of Bridgeport. Finch lost the Democratic Nomination to former mayor Joe Ganim who was convicted of extortion while the mayor of Bridgeport and served prison time. Finch put his support behind business woman Mary Jane Foster. 12:00pm–#cttraffic–#Fairfield CT–Today’s car fire is in Fairfield on I-95 northbound just before exit 19. A dry chemical extinguisher put the fire out on the trailer that was in tow. Firefighter now on scene only the left lane is getting by. 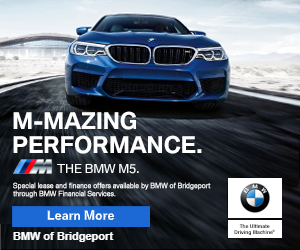 6:41pm–#Bridgeport CT–Police were called by a passerby for a woman in her fifties smashing the windows out of a car parked at the corner of Canfield and Scofield Avenue. The woman was not on scene when police arrived. They are investigating. Ya gotta admit, we cover all the “interesting” stories!